Looking for some delicious Muscat wine for a great price? Compare current offers, use our exclusive vouchers, read reviews and find out about awards. Refine your search to go straight to your selected range, colour or seller. 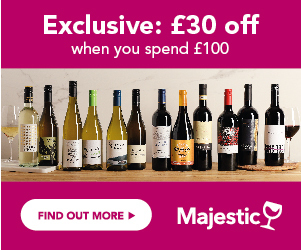 If you sign up to Price Alerts, you will never miss your favourite bottle when it gets discounted . This is the scarlet pimpernel of the grape world. It has so many variations, so many pseudonyms and spin-offs that it's often difficult to tell what particular strain of Muscat a grape actually is - one is permanently seeking Muscat here, there and everywhere. What's not difficult to spot, however, is the unique musky, grapey, pungent smell that emanates from a wine made with Muscat or the honeyed flavours that are usually translated to the mouth, in either sweet or dry versions. Mostly, though, Muscat is used to make semisweet or dessert wines, partly because of its good acid properties, but mainly because it just produces the most deliciously sweet juice when pressed and turned into wine. The most common and most ancient variety of Muscat is Muscat Blanc a Petits Grains, which bizarrely has three different-coloured variations, producing pink, red and even black berries, most of which are used in the production of white wines (the skins are removed to prevent coloration of the juice). There are three other major varieties: Muscat Hamburg, Muscat of Alexandria and straight Muscat, which actually produces table grapes, rather than wine. In most cases, however, when you pick a bottle off the supermarket shelf, it will simply read Muscat. Where do I find it? All over France, Greece, Australia, California, Italy, South Africa , North Africa. What does it taste like? It's one of the few grapes that actually taste of grapes; throw in some honey, apricots and nuts and you're there. Tell me something I didn't know: It's one of the only specific grape varieties that were referred to in written text in ancient Greece. Pliny the Elder had a bit of a penchant for Muscat.